Today's inspiration comes to you with a stamp from Unity Stamps. This beautiful angel is in the KOTM and is just beautiful! 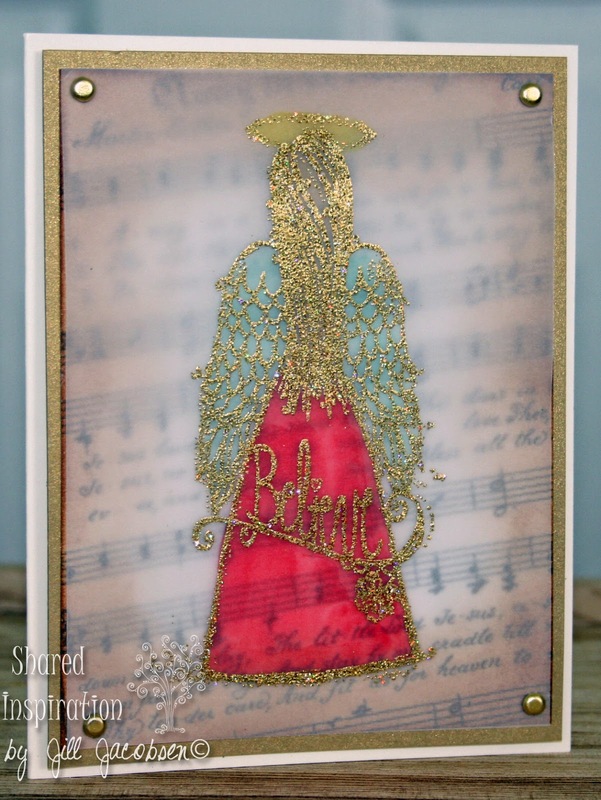 This card is one of three cards that you can make in my class this Wednesday at Sandpiper Grille in Sun City Center, click here for more information about the class. 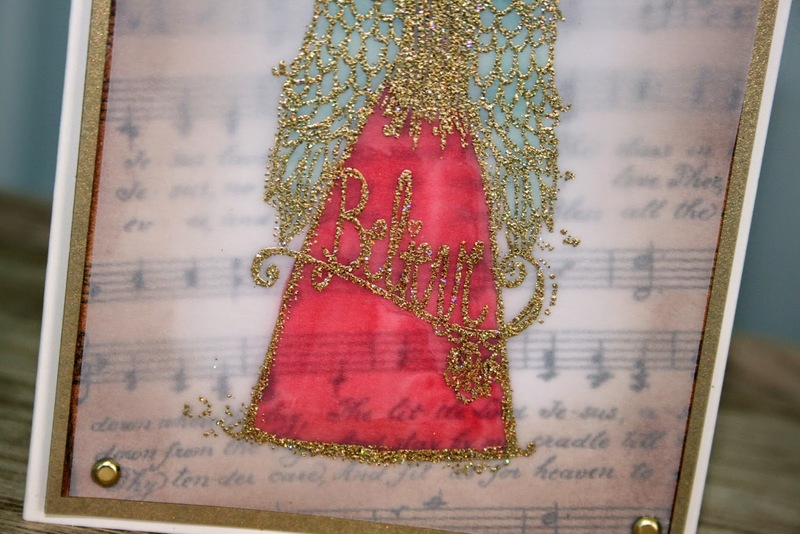 It is on vellum and just sparkles and is beautiful! 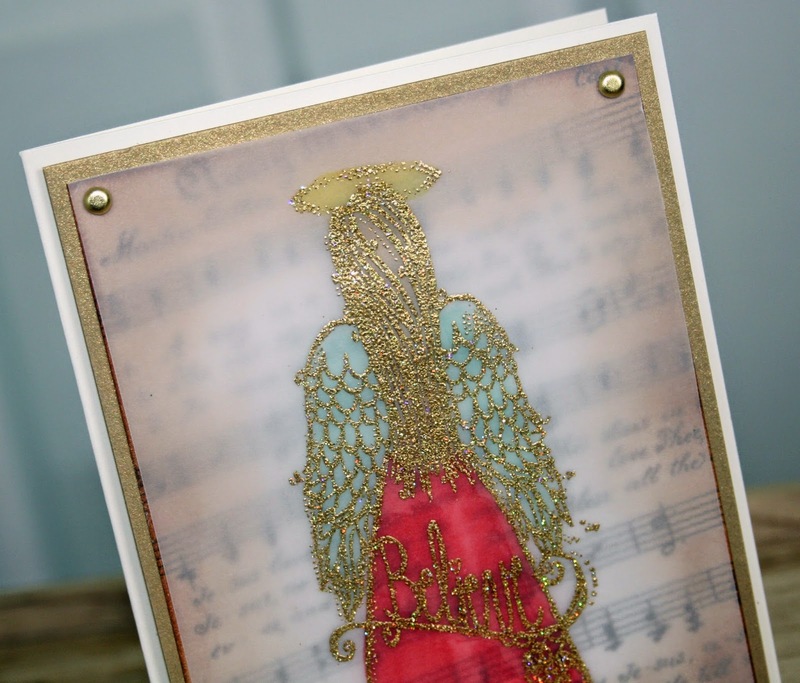 The gold card stock behind and the vintage music just makes it a simply elegant Christmas card. Sometimes you just need to Believe before you can see!